A tall courier bag, to carry papers & files. 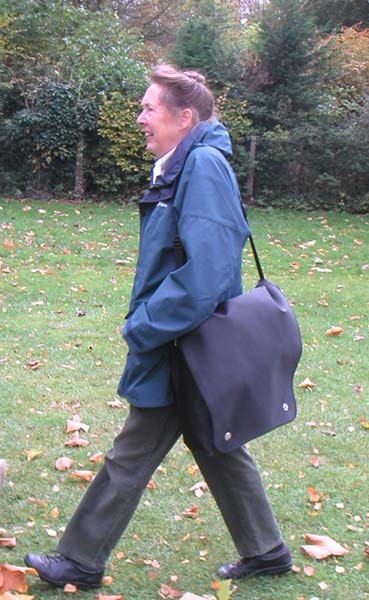 One big flap, internal flat pockets, and external umbrella pockets (with drains!) built into the strap attachments.